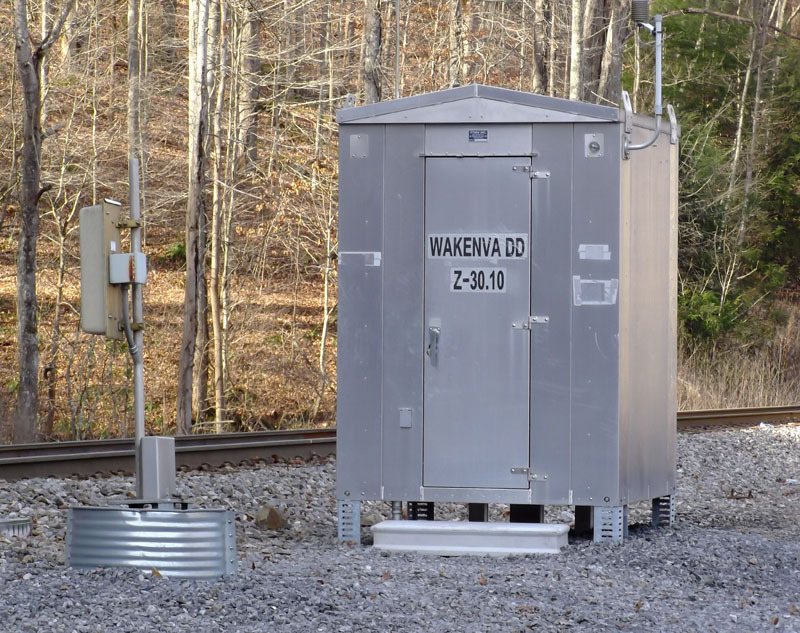 Okay, this is the default detector at Wakenva VA, about halfway way between Trammel and Nora on the original Clinchfield line (now CSX). My question is: Every reference source I’ve gone to says that “Wakenva” is a portmanteau word (mashup, i.e.) comprising West Virginia, Kentucky and Virginia. People, look at the word! It would have to be “WEkenva” for that to work. Hmm.